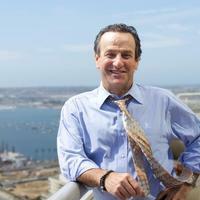 If you are being investigated by the IRS or any other tax authority, call on the San Diego Law Office of Michael S. Berg. Our two attorneys, Mr. Berg and Gerissa H. Santos, are both extremely skilled white collar criminal defense lawyers with extensive experience at the state and federal level. Mr. Berg is a certified criminal defense specialist and Ms. Santos is a highly-sought after attorney for her extensive knowledge of federal law and criminal defense strategies at the federal level. When you reach out to our law firm you will get practical advice immediately from two highly regarded defense attorneys. After a free initial consultation and an analysis of your situation, we will begin crafting a defense strategy that creates a shield from prosecution. In their enthusiasm to investigate you, federal authorities, IRS agents, local law enforcement and prosecutors may violate your rights. You have rights. We will rigorously defend them. Keep in mind that you do not need to reveal any information to the IRS without legal counsel on your side. When you are being investigated by any government agency, including the IRS, the benefits of obtaining legal counsel cannot be overstated. Investigators may try to intimidate you or gain your trust. Reach out to us so that you do not incriminate yourself or give investigators any reason to doubt your innocence. Call 619-239-2186. Years in prison, massive fines, and dramatically increased scrutiny by tax authorities may await those convicted of filing tax documents containing false information, failing to collect employment taxes, failing to file tax returns, not reporting income, sheltering taxable income illegally, or purposefully under reporting income. The above are only a few of the many strategies that we have to defend you. If you are audited, investigated or charged, we can discuss the many options that you have for minimizing your risks of prosecution. We are highly skilled at getting charges reduced or finding a way to settle with the government for far less than what they were originally seeking. We will prepare to take your tax evasion or tax fraud case to trial and rigorously defend you, but we will also make every attempt to get charges dismissed or reduced before a trial is needed. Contact us now for a candid conversation about your legal challenges and legal solutions.